Are you thinking of moving while planning your wedding? Here, we'll weigh the pros and cons of moving before your big day. Moving and settling into a new place can be one of the most exciting, yet often stressful experiences in a relationship. Whether you’re shopping around for a new rental or navigating the ins and outs of homeownership, managing a big move together can quickly feel like a full-time job—and there are lots of pros and cons to moving in the first place. For many couples, moving in the midst of wedding planning leads to serious overwhelm but it’s not without some benefits worth considering. We’re walking through the pros and cons of moving before your wedding to find the moving timeline that works for you. When thinking about the pros and cons of moving before your wedding, if you have the opportunity to move several months before your wedding rolls around, the extra time in your new space can make it feel more like a home. Not only will you be able to unpack and slowly settle in, but you’ll have time to start decorating, meeting neighbors, and finding all the best hangouts in your new neighborhood. The very best part? Once you return from the honeymoon all you have to do unwrap your wedding gifts, relax and enjoy. 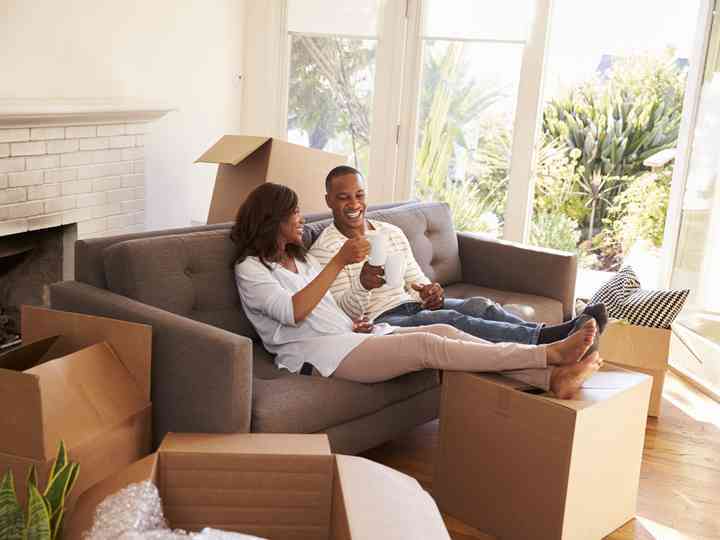 As wonderful as decorating and settling into your newlywed nest can be, moving during the engagement period can bring on a whole new level of stress. Between finding a realtor, viewing properties, signing paperwork, coordinating moving trucks, packing boxes, and so much more, some couples find the process too much to manage on top of planning a wedding. Keep in mind that if you’re someone who finds life change to be difficult, a slow and steady mentality might be a healthier approach. If you’re not currently living together, organizing and consolidating your belongings can be a task worth tackling before you bring home a mountain of wedding gifts. 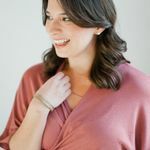 Take cues from Marie Kondo and consider which items spark joy and what’s worth selling or donating instead. As a bonus, when you opt to move before the big day you’ll also be able to easily spot any missing pieces to add on the registry so you’re only receiving gifts you actually need. Wedding planning comes with so many decisions, including hiring vendors, organizing seating charts, choosing a color palette, and every little choice in between. Throw in the added decision making that comes with renting or buying a new house and it’s a recipe for less-than-ideal judgment. As newlyweds, the last thing you’ll want is the potential buyer’s remorse that comes with a rushed decision made during a stressful time. There are so many pros and cons to moving before your wedding, but don’t underestimate how fun moving can actually be. There’s no doubt that shopping for a new place can be a fun bonding experience with your soon-to-be. You’ll get to search for that hidden gem as you check out online listings, go on in-person tours, and learn so much about one another along the way. Moving into a new home requires a laundry list of expenses in addition to the down payment and/or security deposit you’re already handing over. Things like new furniture, utilities, and unforeseen fixes can add up in a hurry. Add that to the expense of wedding planning and it can easily lead to financial strain. Waiting to move until after the wedding can give you time to replenish your bank account and avoid unnecessary stress in your early days of marriage. That being said, if you already have a safety net of savings and feel prepared to handle both the wedding and moving expenses at once, the time to say “yes” to a new home might be sooner rather than later.